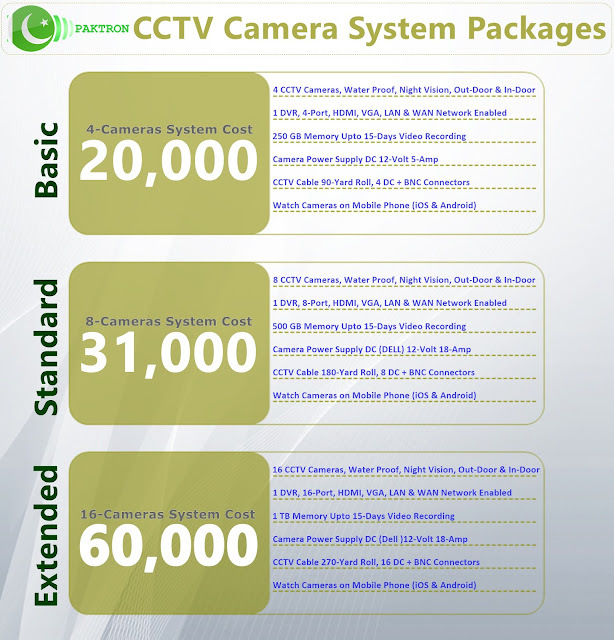 CCTV Video Surveillance solution, CCTV cameras packages price in Pakistan. Complete packages with installation including all security equipment, cameras, DVR, Hard Disk Drive, Cable, Connectors, power supply and all accessories. On this site you will find CCTV Security System packages for your home, office and business video surveillance. We offer complete camera system supply, installation and maintenance services. 1-Year Complete System Maintenance is included in package price. We provide professional cctv camera installation service in Pakistan. We also supply cctv products.